Long before Tim Schafer was the head of Trenched developer Double Fine he was a game designer at LucasArts. He started out as a tester in 1989 on Indiana Jones and the Last Crusade: The Action Game and worked his way up, taking the reigns of Designer on Full Throttle in 1995. 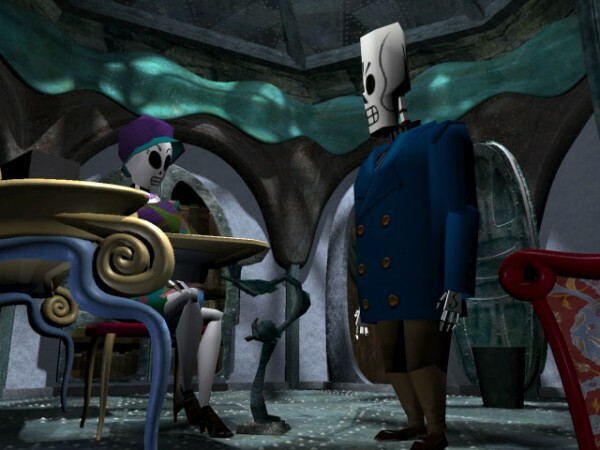 Three years later Schafer designed one last game for LucasArts, Grim Fandango before moving on to found Double Fine. 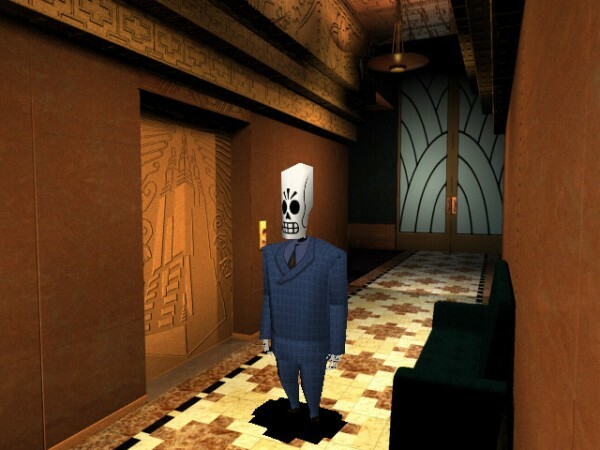 Grim Fandango marked the beginning of the end of the adventure game era at LucasArts. While the game received critical acclaim sales were lower than expected. It follows Manny, and travel agent at the Department of the Dead who helps those passing into the afterlife find their way to the Ninth Underworld, a place of rest. Sounds morbid, but this title was imaginative, funny, and most importantly it had solid gameplay. 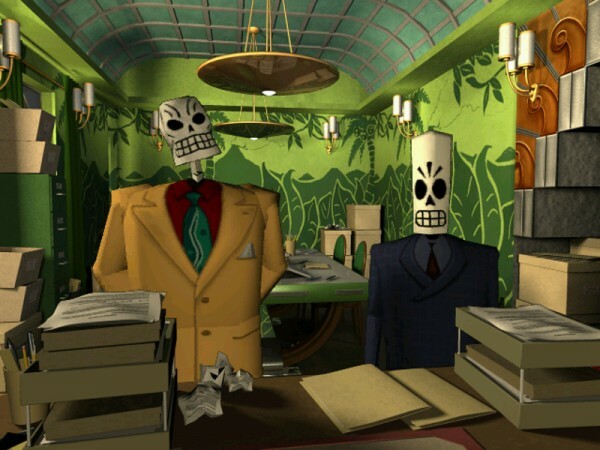 Spit’n polish – The great thing about Grim Fandango is that it has a timeless art style. The film noir, Day of the Dead setting keeps it from looking dated. Still, if the game were to receive a re-render of the original backgrounds in HD and the characters had a higher polygon count it would bring shine and polish to a old jewel. To put things into perspective the lead character Manny has roughly 250 polygons. By comparison Marcus Fenix had 15,000 polygons in the first Gears of War. We’re not asking for that kind of count, but something in the range of 1-3,000 polys would clean up those rough edges. Other LucasArts games on Xbox Live Arcade feature the ability to jump from new to old-style graphics; that’s not what we’re talking about here. This is solely a shine on the original graphics, not a reimagining. Making of – Grim Fandango is one of those rare games that makes you want to know more about its inner workings. What sort of engine did it use? What was the inspiration for the story? What got cut from the final version? Now there’s a 2GB limit on XBLA, but there should still be plenty of room to add concept art and perhaps a featurette. Compelling story – The game spans four acts, each taking place on November 2 of four consecutive years. It’s not the easiest to explain unless you’ve played the game, but suffice it to say it’s complex. But even in the complexity players can simply jump in and enjoy the smaller points of the plot, the colorful characters, etc. The player is just sort of thrown into the story, but they’re educated as it unfolds. Normally that’s frowned upon, but for some reason it works well here. Quirky art style – Everything about Grim Fandango oozes style. From the calaca-style skeletal characters to the film noir setting of the Land of the Dead it’s all downright gorgeous. There was brilliance in the backgrounds and the calaca characters work well in the now low-polygon environments. You just gotta love all the 1930’s nightclub settings. Spanglish – Throughout the game the main character speaks English but with a latin accent. Occasionally Spanish words are mixed in for authenticity, humor–well, we’re not sure why, but it’s funny. Other characters range from a stereotypical 1930’s Brooklyn accent to the crazed, throaty voice of Glottis, Manny’s sidekick. The music also has a toe tapping quality to it that sticks with you after the game is turned off. Similar critically acclaimed titles from yesteryear have found their way to Xbox Live Arcade and have seen success. Two of LucasArts’ own Monkey Island games have done fairly well, and Ubisoft’s Beyond Good & Evil HD has reached nearly 100,000 units in four months on Xbox Live Arcade alone. Clearly people clamor for the critically acclaimed classics from yesterday. 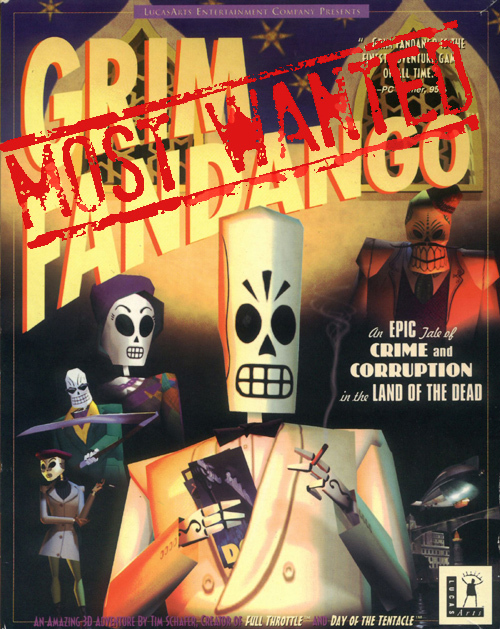 Grim Fandango was one of the greats, and it fits right in with so many other great games on Xbox Live Arcade. LucasArts, if you’re listening, our money is waiting.